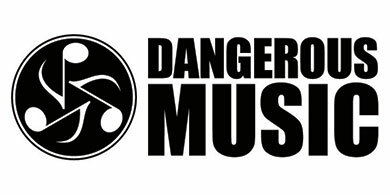 Dangerous has been building award-winning, standard-setting converters since 2002 when the Dangerous Monitor’s onboard digital-to-analog converter (DAC) swiftly became the industry reference. They've been asked over the years to build a stand alone DAC, and they’re finally here in the CONVERT series. Loaded with innovative and useful features accessed from an intuitive front panel, the CONVERT-2 tops an elite class of dedicated stereo digital-to-analog converters in both sound and ease of use. The CONVERT-2 goes beyond transparency – you won’t just hear everything, you’ll hear it beautifully. A legend among mixing and mastering engineers for decades, Chris Muth has designed the analog gear used to mix and master an endless list of hit records and classic reissues. Chris’s powerful, articulate, hi-fi designs dominated the big studios in New York City since the 80s, and via Dangerous his designs have become essential components in the best modern DAW-based mixing and mastering studios. When he set out to develop a new dedicated stereo DAC, Chris brought his relentless design philosophy and world-renowned sound to the CONVERT’s analog technology. Not only did he develop the audiophile-grade analog audio path, Chris also meticulously fine tuned the low-pass reconstruction filters mandatory to implementing any DAC. These filters lie at the heart of how a converter will perform, and the CONVERT series has the jaws of top pros hitting the floor when they hear the big natural sound and the powerful, ultra-clear low-end. Dangerous brought in digital guru Paul Messick to make sure the digital side of the CONVERT-2 would sing in perfect harmony with its finely tuned analog circuit. Paul rigorously refined the CONVERT’s JetPLL ultra-low jitter clocking technology until it surpassed the JET’s stated specs, resulting in the virtual elimination of jitter throughout the audio band and beyond. Gone are the sonic headaches and end-of-day fatigue brought on by long-term exposure to jittery digital audio systems. The CONVERT-2’s superbly implemented digital technology delivers such a natural, open and non-irritating sound that you’ll forget you’re even listening to converted 0s and 1s. Dangerous' design philosophy includes a strict demand that their equipment be elegant and easy to use, and the CONVERT-2 exemplifies that philosophy. No menus, no cryptic multi-finger combinations to remember – just clearly labeled single-function buttons and one volume knob. However, the elegance of the CONVERT’s front panel belies its rich feature set, which brings a level of versatility not found in any other DAC. 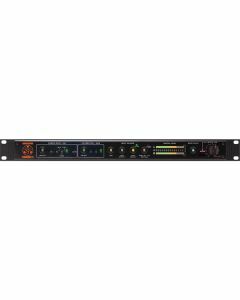 Custom Metering – The premium custom crafted digital meter gives you peak-over-average metering, typically found in expensive outboard mastering meters. The meter automatically calibrates to the chosen input reference level, giving you consistent visuals on every project. The “3-word-over” indicator tells you when three consecutive samples have clipped, meaning you’re a breath away from violating industry standards for CD reproduction and are about to generate clipping distortion that would be audible in any digital file.